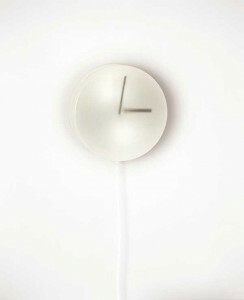 MoMo provides the option of choosing between mechanical, artificial time and personal experienced time. When the clock is switched off, the atomic time stops, leaving room for our own time. Design in cooperation with Lisa Lindström.